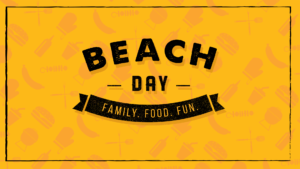 Join us for a day of fun, food and fellowship today at the Newport Dunes Waterfront Marina & Resort! RESORT INFO | GET DIRECTIONS | RSVP TODAY! Please enter at the main gate where you will pay for access. Park in the main parking lot, then head for the beach! Look for The Bridge Church banner to join the group. Newport Dunes Waterfront Marina & Resort offers a mile of beach front with swimming and a playground on the beach and in the water. Rentals are available and there is a Market Place, shopping and restaurants walking distance from the sand. Be sure to bring your towels, beach gear, sunscreen, hats and any food you wish to picnic on while you are here. If you plan on staying late, please plan on bringing something warm to wear. Please note that any children attending must be accompanied by a parent or guardian.